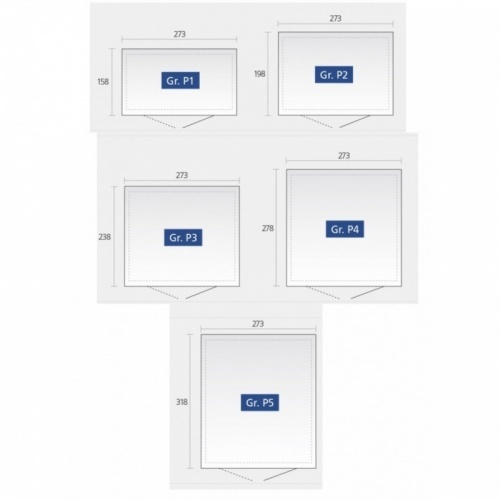 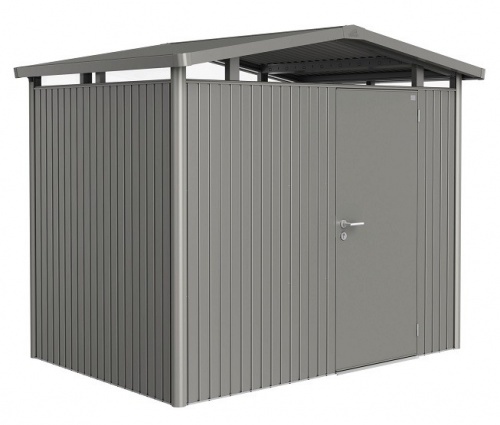 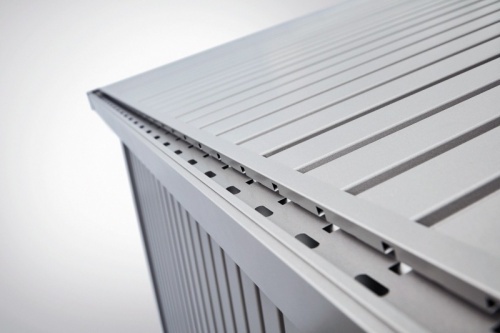 Biohort Panorama P2 is a single door, 9 foot fronted heavy duty flat roof garden shed manufactured from high tensile, 0.5mm hot-dipped galvanised, polyamide coated steel throughout. 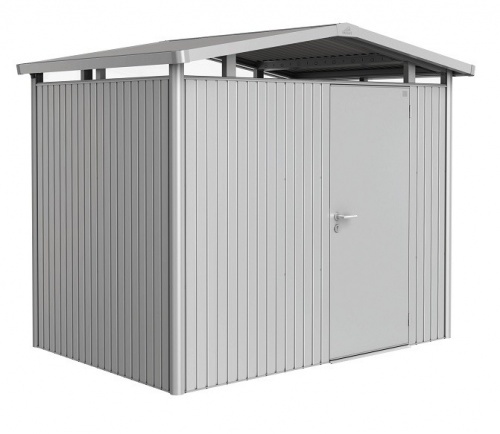 This shed features an acrylic all-around fanlight, a security 3 way locking mechanism with cylinder lock and 2 keys as supplied standard, integrated organisation system consisting of a shelf set and tool hanger, high snow load capacity, a gas assisted damper to prevent the door slamming, a built in gutter system complete with the facility to collect water if required and easy set by step photo illustrated instructions. 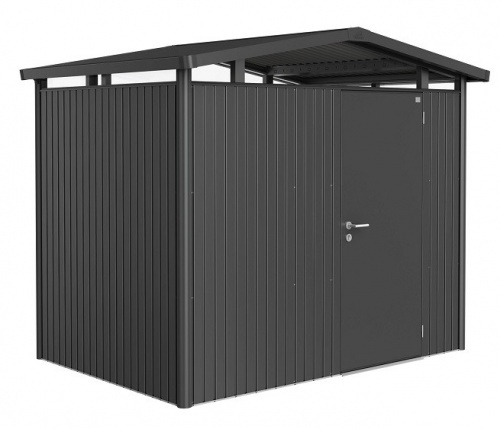 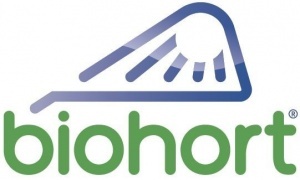 Biohort sheds are perfect for sites where non-combustible storage sheds are compulsory and will provide a rust-free, durable storage solution for a minimum warranty period of 20 years.